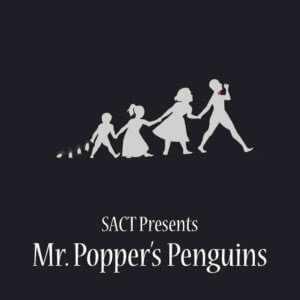 Mr. Popper’s Penguins tells the story of a poor house painter named Mr. Popper and his family, who live in the small town of Stillwater in the 1930s when the Poppers unexpectedly come into possession of a penguin, Captain Cook. This performance is family day! enter the promo code FAMILY to receive a discount on 4 or more tickets.